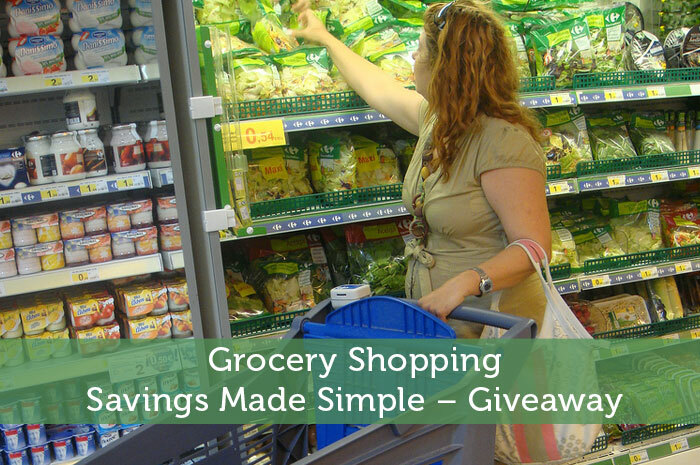 One financial topic covered on virtually every personal finance blog is how to save money at the grocery store. That makes complete sense since it is where we spent a good chunk of our money each month. It also happens to be an area where you have the potential to save a lot of money. If you’re not careful you could be wasting a lot of money on grocery shopping each week. Think about how that adds up over the course of a full year. I don’t know about you, but I am nowhere near organized enough to plan out my meals each week. In my opinion that strategy actually backfires. Grocery stores are constantly adjusting pricing in an attempt to attract customers with some good deals while sneaking in higher pricing on other products. So if you go into a grocery store with a very specific list, there is a good chance that you’re going to overpay on something. Instead I prefer to go to a grocery store with an open mind. I admit some nights I will be craving something specific, but beyond that I focus my grocery shopping around what is priced low that day. If something is particularly cheap and nonperishable I will stock up a bit. For example, I go down the cereal aisle every single time, even if I have plenty in the cupboard. Sometimes I won’t buy any, but other times one of my favorites will be very cheap that day. I’m sure most of us have gone shopping on an empty stomach and ended up buying way more than necessary. If that includes any fruits, vegetables or other perishables, that is a recipe for food waste. Unless you’re vegetarian, some of that stuff will go bad. That’s just throwing away money. To combat food waste, develop an obsession with not wasting food. Learn to keep in mind what in the fridge is going bad soon and find ways to fit that into upcoming meals. Also learn the best ways to store different types of food. If you find certain foods are always going bad before using them up, consider buying less quantity, freezing some or finding different meals to use it in. This is where I wasted the most money in the past. When you’re not watching prices, you end up splurging on a lot of the foods that cost more. Do you really need steak and pricey seafood every week? Wouldn’t chicken, pork, pasta or cheaper seafood be pretty tasty too? Do you really need the most expensive brands? If you’re especially concerned with saving money on groceries, you can mix in some super cheap meals each week. Don’t live off of macaroni cheese or ramen noodles, but there’s nothing wrong with having it once or twice per week. This could also include large meals that will make leftovers such as a big pot of spaghetti. When you start watching food prices more closely you can also notice when prices in the grocery store are higher than usual or are a particularly good deal. In the city I live in there are a lot of small Asian produce stores. Whenever I go there I end up with a bag full of good quality produce all for under $10. A lot of the items are a fraction of the price at the big chain grocery stores. Depending on where you live there might be a cheaper seafood specialty store or maybe a farm you can buy directly from. Just because the chain store is bigger, you shouldn’t automatically assume it has lower pricing. You should figure out which local chain store has the best pricing on other items though. So saving money at the grocery store doesn’t have to be complicated. Very simple tips can add up to big savings. As you get in the habit of using these strategies, try mixing in coupons or even smart phone apps. Start out with the simple strategies though. Then you can save money without wasting a lot of time and getting overwhelmed. This giveaway was kindly put together by Jeffrey from SavingAdvice.com. If you have your own blog, you can take part in future giveaways by clicking here. We are working on having less food waste. It seems like we throw out so much every week, but we are doing much better than in the past. I’m surprised that is the case with all your weekly meal planning. I guess it can still be hard to actually coordinate with what leftover ingredients you’d have from each meal. My favorite tip is to make a list and stick to it. If you can about d impluse purchases you save a ton of money! I actually rarely have a strict list. I’ll have some things in my mind that I need, but I’ll still check to see if other stuff I’d want is on sale or not. Jeremy, I have never thought about the keeping an open mind option. I can actually see where you are coming from with that one. My wife and I try to be flexible with our food menu. If there is something better on sale, like beef or chicken, then we will switch the food menu to go around it. It is an overlooked strategy. Instead people are usually pushing for meal planning instead. That just works to the grocery store’s favor though. They know people will go in with specific lists and can get away with charging whatever they want once you’re in the door. We’ve wasted a little bit of food over the past few weeks and it drives my wife insane. It hasn’t been on any expensive items, but we try to avoid wasting anything at all. In-fact, we had some pork tacos last night and I was about to throw out a bite (literally) of meat, and my wife simply looked at me in disgust and said, “well how about I just throw away a dollar.” lol. lol that’s awesome that you’re wife gets on your case about that. I get annoyed about throwing out food too, but I guess it is usually the cheaper items in my case too. There’s just some things that are difficult to use up completely without having the same meal twice in a week. It certainly helps to learn the prices of foods. I never used to pay attention, but now I notice when one of our favorites is a good buy or if it’s too much, I know to wait for a sale. The problem is that there are just so many prices to keep track of. I admit I tend to watch for the sale tags and compare the prices to other brands. There are only certain things I actually remember the price of. In the past I just didn’t care and bought whatever I wanted. Buy in bulk! We alwasy buy in bulk for things that won’t go bad and we’ll deifnitley always need. Nice to see that I was already following most of the twitter folks and RSS feeds! I just wish I had more storage space to be able to do that. My cupboard space is a little limited. So there are certain things I just couldn’t buy in bulk without looking like a major hoarder. Thanks for pointing out that shopping on an empty stomach can lead to food waste – I’m so guilty of this! My best tip would be to learn more recipes! When you have several meals in mind, it’s sometimes possible to buy food that will work for two meals instead of one. For example, one day you prepare a chicken meal, the next you throw it into a soup and you’ve got meal #2. I’ve been guilty of shopping on an empty stomach before. It’s amazing how much more snack food you end up buying. Good tip about having a good recipe repertoire. Being versatile with ingredients does make things a lot easier, especially when combined with the strategy of going to a grocery store with an open mind. Some people have such limited recipes that they get stuck with only a few ways to cook specific things. We try to stick to a grocery budget and usually do pretty well. We’ve been able to cut down on food waste quite a bit, but still get at least one science experiment in the back of the fridge growing green fur at least once a month. Being on a grocery budget would definitely help. When you have no set spending limits at the grocery store, it’s a lot easier to overspend and get more than you really need. I use coupons and my store loyalty cards. I use store loyalty cards, but in all honesty I get next to nothing for them. That’s mostly my fault for not looking into their rewards more. I just let the points build up and never get around to using them. I use coupons, stack coupons w/store deals n coupons. I use store rewards or I buy generic brands that taste or are just as good as the name brands. I am jealous how Americans are able to stack coupons. Pretty much all coupons in Canada specifically state that they are not applicable with any other promotional offer. No matter how little or much we buy in food, it always feels like our grocery bill is going up. Lately I’ve been trying to eat healthier which is in itself more expensive. Food prices have gone up the last several years. Well I guess they are constantly increasing due to inflation. Lately it seems like more though. Eating healthier is more expensive, but the trick is to really examine what you are buying and seeing where money can be saved. I do hate wasting food. I get angry with myself when I throw something out. For most foods, if I can cut the bad part out and eat the rest, I will do that. I’m usually willing to cut off the bad part too for stuff like cheese or bread. Really though, the mold has likely spread throughout by then and I’m only cutting off the visible part. I don’t get sick from it though. So maybe I’m building up my stomach’s immunity. lol very true…I think I’ll still steer clear of eating mold though. Throwing in the cheap meals every week is huge for me in saving money. Sometimes we will throw in $1 tacos at Qdoba or even spaghetti as a cheaper option once a week. This simple technique pays off huge for me at the end of the month. And by just mixing in those meals sometime, you don’t feel like you’re depriving yourself by living exclusively on cheap food. Then again, those meals sound pretty tasty. Most people don’t stop to think how cheap something like spaghetti really is. I use coupons and only buy non-essentials when they’re on sale. We also eat a lot of pasta; a $3 pasta dinner is huge savings for a family of four! For sure, pasta is an awesome, cheap meal. The great part is that it is easy enough to add a bit of variety each time by using different sauce, vegetables or meat. It’s good however you choose to make it. I’ve learned that I’m saving money if I buy items that we always use and ran out of often in bulk. Tissue paper, cooking oil, detergent, some canned goods, and a lot more. We can go for weeks without going to the grocery if we have all our necessities in our home. This means less gas used, less eating out, and less impulsive buys. That is right…bulk shopping doesn’t only save money on the per item price, but also has those other benefits. I’m all for spending less time shopping.